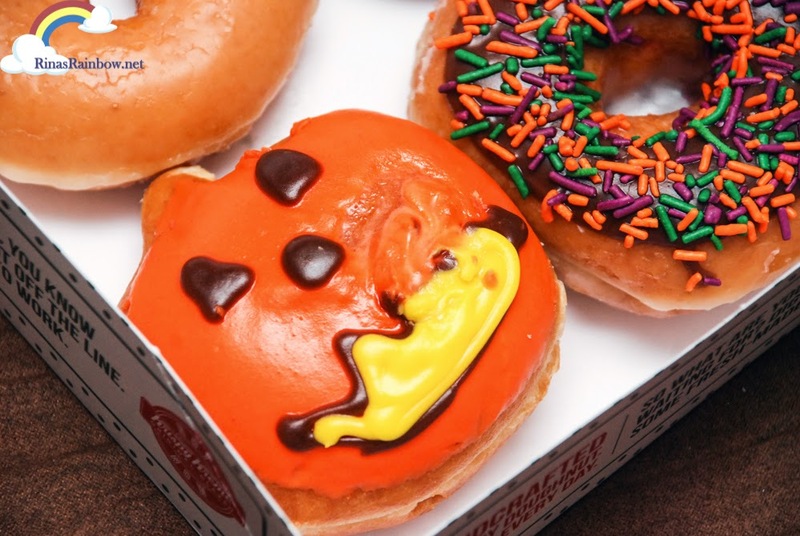 Rina's Rainbow: Krispy Kreme's Krispy Skreme Halloween Doughnuts! 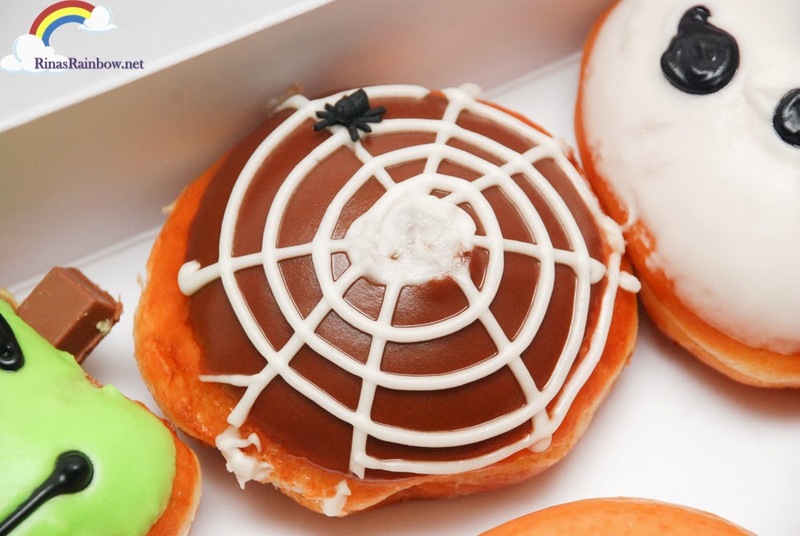 Mom, there's a spider in my donut. It's almost the end of October once again and one thing comes to mind at this part of the year: HALLOWEEN! 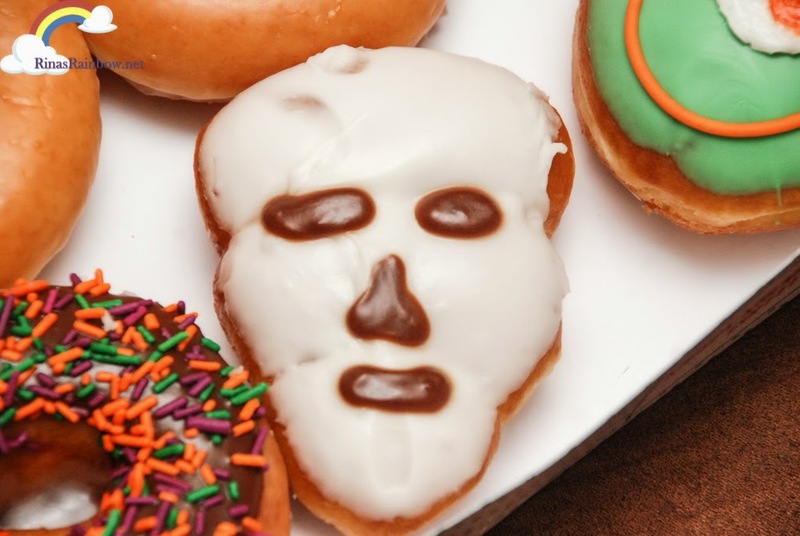 And that does not only mean scary tricks, but it also means delicious treats as well! 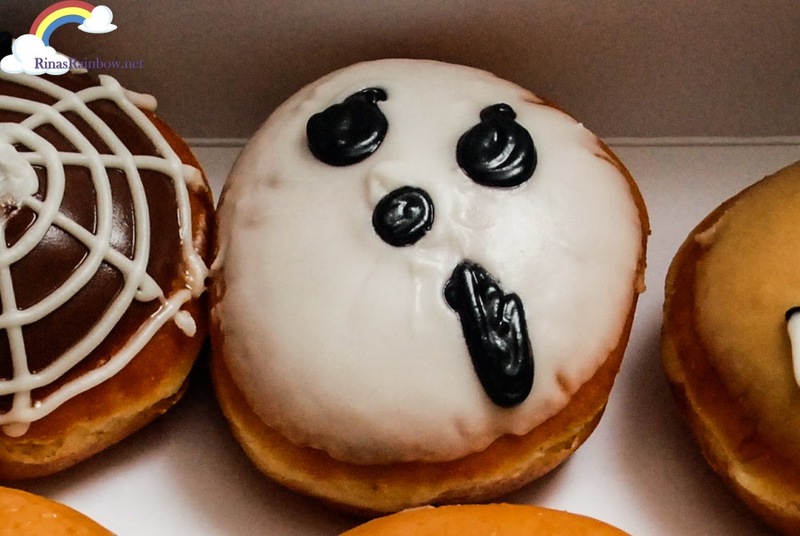 So of course, Krispy Kreme has already whipped up some delicious spooky donut treats for us! A Spider Web with chocolate top, white web icing, filled with a custard center! 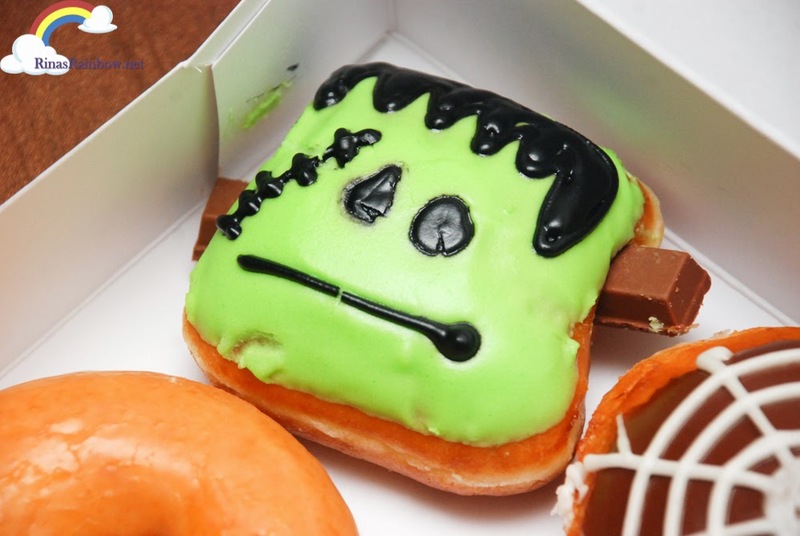 The Frankie Doughnut looks more cute than scary with its square head with greenish vanilla icing, topped with black chocolate, and a KitKat stabbed on his head! Yikes! I wasn't sure what this was at first but turns out it's a delicious peanut butter Scarecrow! 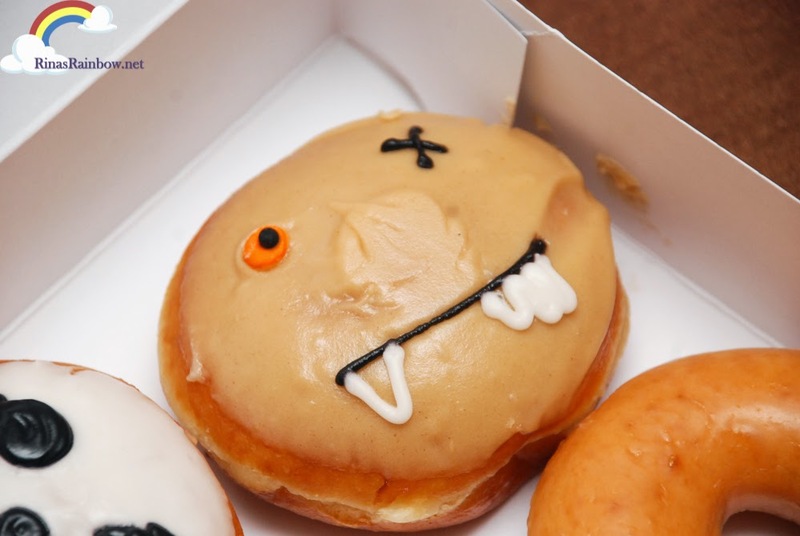 and last but not the least, a custard-filled Boo Berry! 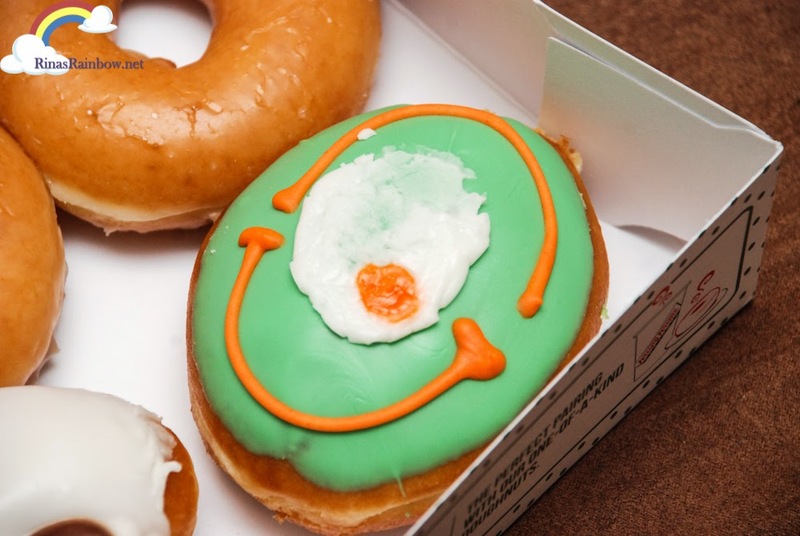 This Halloween Sprinkles, for some reason looks so appetizing to me! 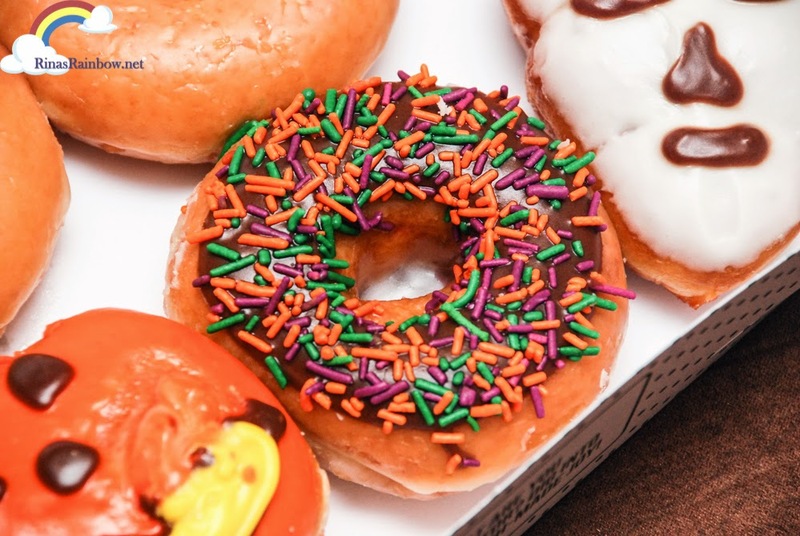 Maybe it's the combination of the colors of the rainbow sprinkles plus the texture. 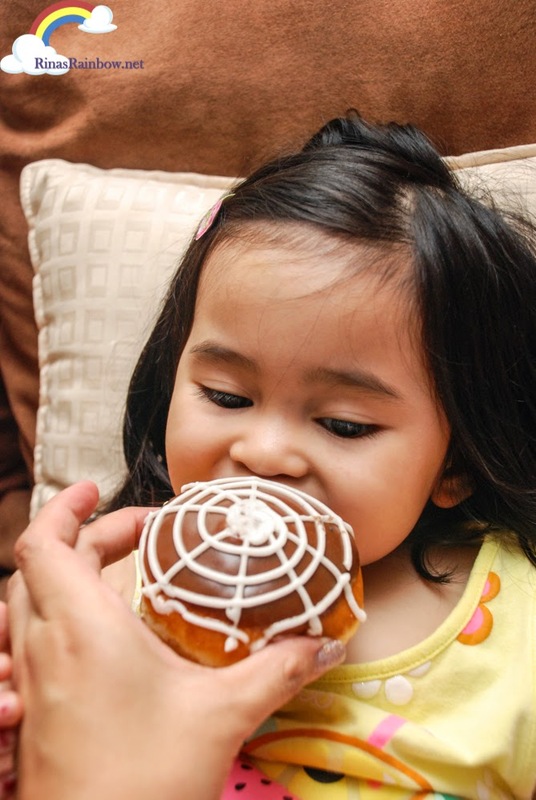 The itsy bitsy spider went up the baby's mouth! 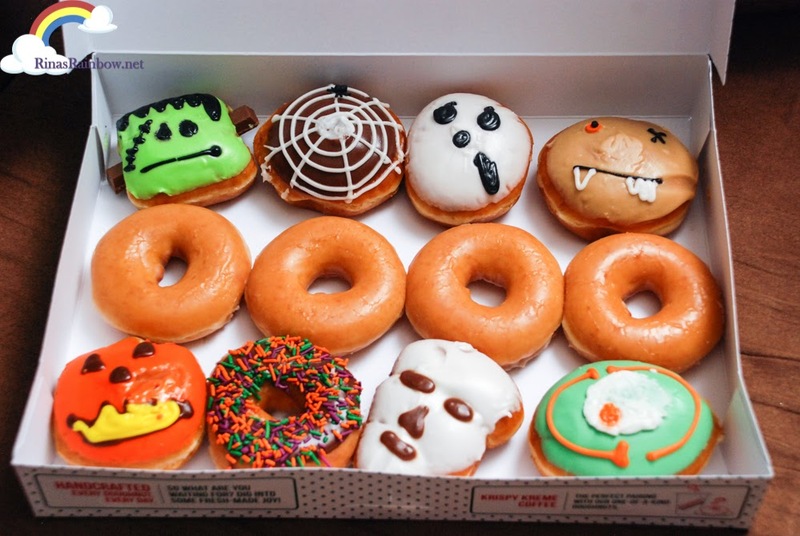 Grab a box now and give them away to trick or treaters this Halloween! 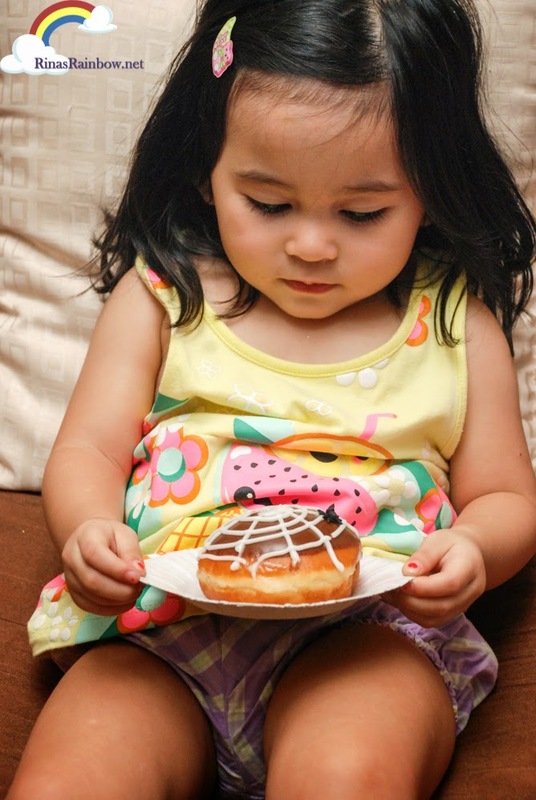 Follow Krispy Kreme Philippines on Facebook for more updates on their upcoming donuts! They contract their home, auto or different properties. Some even go to charge card organizations to get cash. Be that as it may, in view of the current financial emergency the nation is enduring, banks.